day 164 and today i had the best day sewing at a dear, dear friends. 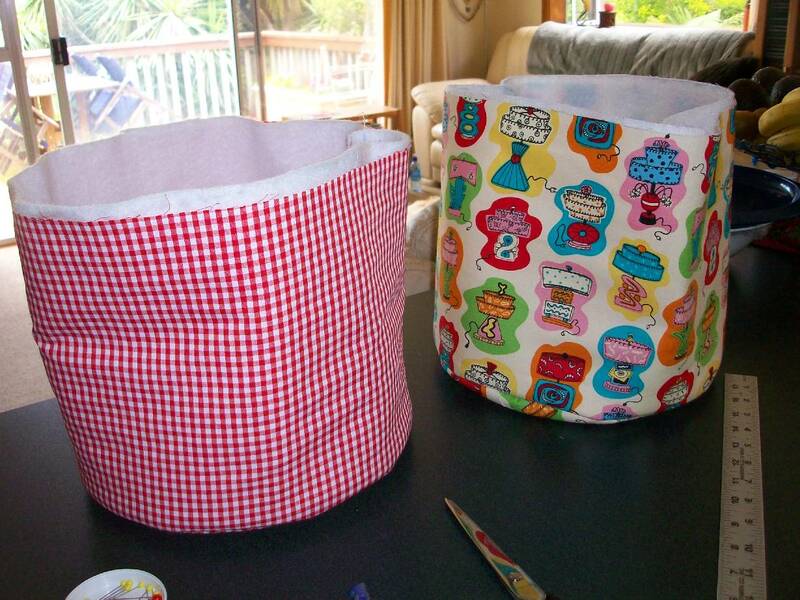 dee and i made fabric buckets today for my pinterest creation ... i tell ya, there is nothing better than spending the day chatting about crafts and crafting! 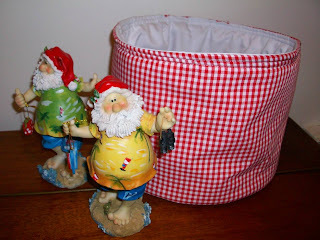 a while ago i pinned these fabric buckets from 2 little hooligans to my sewing diy board and today we decided was the day to make them ... so we did! the tutorial from christina is fabulous and we were done with our two buckets in just over an hour. christina even provides you with a pattern to print if you want to create a nest of three buckets. dee had a large picnic plate that we used as the base and for the sides you just measure the circumference of the plate and the height of the bucket is to your pleasing. a very big thank you to christina for this brilliant tutorial on making fabric buckets, they are simply a joy to make and so incredibly useful. her site is amazing, full of fantastic crafting and wonderful eye candy as well! 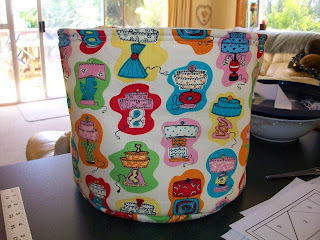 we were done so quickly with the fabric buckets, my sweet friend dee, had time to teach me paper piecing for quilting. 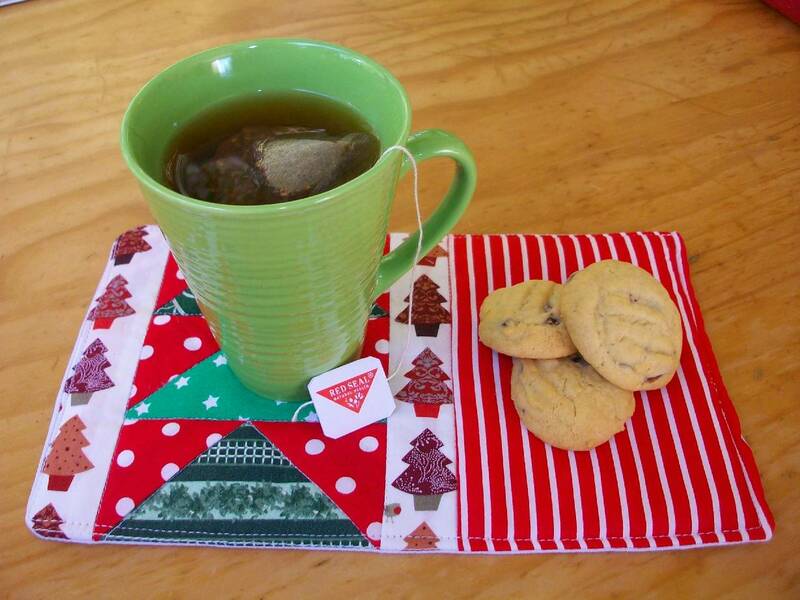 i had the BIGGEST thrill today, i ACTUALLY quilted a mug rug, complete with a christmas tree. AND the mug rug even works ... check that out! 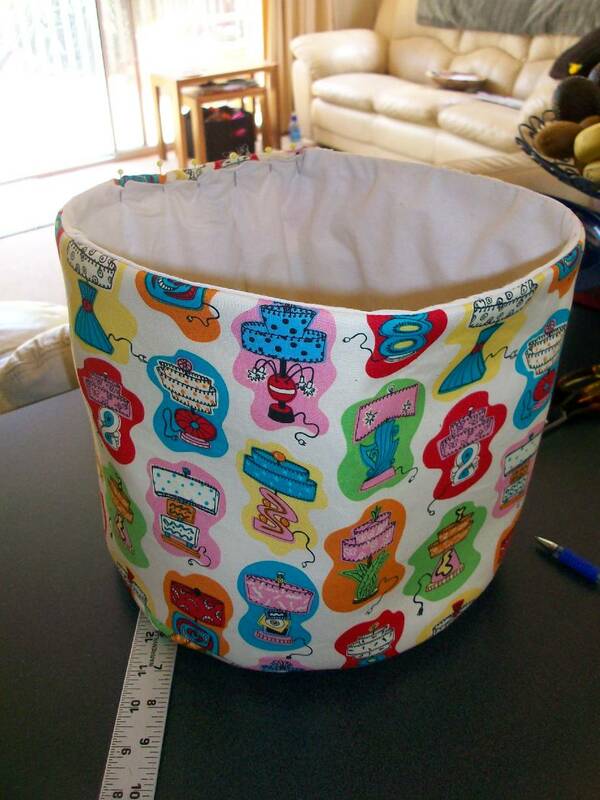 i still find it amazing that i quilted this mug rug today! 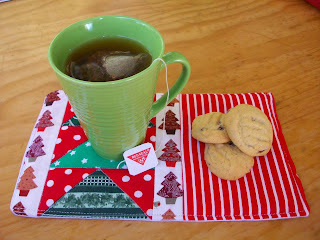 i'm off to find more christmas mug rugs to pin to my boards so i can make one for each member of the family! These are so cute and so handy! What a fabulous idea! Great you spend it with a friend.